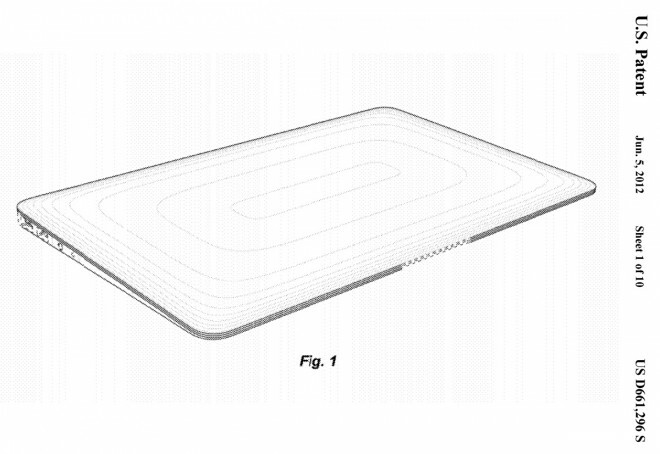 Apple patents teardrop design for Macbooks, should the Ultrabooks worry? Ultrabook makers have a reason to worry. Apple has been awarded a patent which is said to cover the distinctive "wedge" design of the MacBook Air. Ultrabook makers have a reason to worry. Apple has been awarded a patent which is said to cover the distinctive "wedge" design of the MacBook Air. The patent No.D661, 296 issued by the U.S Patent and Trademark Office, is described as "the ornamental design for an electronic device". It is said to contain drawings of the entire product defined in dotted and solid lines. 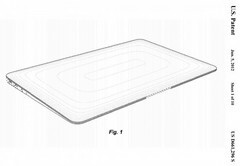 However, little written explanation populates the patent but it is said to include a number of drawings detailing the design of the MacBook Air. The illustrations specifically focus on the overall external wedge-shape rather than details like the rear contour, hinge, side ports and feet. The patent also covers the metal casing of the design. According to Goldstein of Goldstein Law Offices, the lack of content enables the patent to cover a broad spectrum as it does not specifically limit the scope of Apple's design definitions. The granting of the patent could lead to serious patent wars if Apple lay the claims around products like ASUS UX31, HP's Envy Spectre XT or Del XPS 13 ultrabooks. Now, whether a company files a lawsuit depends on a lot of factors. Companies often resort to cross-licensing to borrow a piece of idea from another organization, without going to the court. To determine infringement, the court observes whether "an ordinary observer" is able to point to substantial similarities in the overall appearance, keeping in mind that laptops in general look similar. "We can't take all our energy and all our care and finish the painting and have someone else put their name on it." The patent was applied for on July 1, 2011 and was granted on June 5 and like all patents, it will be in place for the next 14 years. Apple has proved to be a rather ferocious legal foe concerning smart phones and tablets. It has been involved in numerous patent disputes, taking Android manufacturers to courts all over the globe. And now with the latest patent Apple is making clear of its intentions of preventing other companies from taking cues from Apple's designs. > Notebook / Laptop Reviews and News > News > News Archive > Newsarchive 2012 06 > Apple patents teardrop design for Macbooks, should the Ultrabooks worry?